Throughout Massachusetts and Rhode Island the majority of motorcycle accident deaths are caused by collisions with other vehicles. We continue to see an increase in these accidents due to factors like distracted driving and drunk/drugged drivers. Due to their unprotected environment, a motorcycle rider is far more likely to suffer serious catastrophic injury or wrongful death when involved in an accident. These accidents can happen in hectic highway areas like Insterstate-195 through Fall River, Insterstate-95 around the Providence Place Mall, or cruising through historic downtown New Bedford on Route-18. Head-On Collisions – In the vast majority of motorcycle accidents, the car strikes the motorcycle from the front. These accidents often happen when a distracted driver fails to see the biker making a left turn at an intersection of onto a street. Head-on collisions between a car and motorcycle are all too common and often fatal to the motorcyclist. 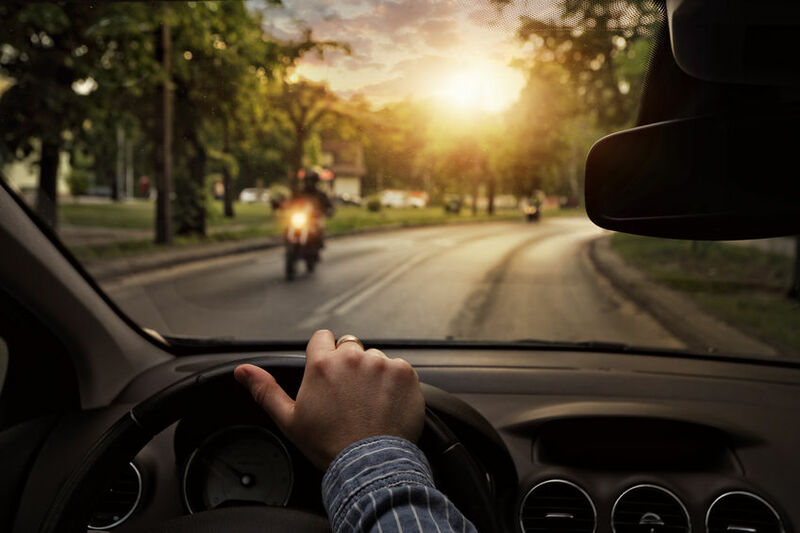 Cars Making Left-Hand Turns – This dangerous situation for motorcyclists occurs when a car is making a left-hand turn at an intersection or onto a street. The driver of the car is likely trying to time things with the vehicles on both sides of the street and fails to see the smaller profile of the motorcycle. These collisions account for more than a third of all accidents involving a motorcycle and car. Motorcycle Lane Splitting – Lane splitting occurs when a motorcycle drives between two lanes of stopped or slowly moving cars, usually in traffic jams. This is not legal in Massachusetts or Rhode Island, but that doesn’t stop some motorcyclists from breaking the law. Lane splitting is a common cause of motorcycle accidents due to several factors: the close proximity of the cars to the motorcycle, the reduced space the motorcycle has to maneuver, and the fact that the cars don’t anticipate that any vehicle or motorcycle will be passing them in slowed or stopped traffic. Road Hazards – Motorcycles face higher dangers from road hazards than do cars and other vehicles. Things like potholes, dead animals, slick pavement conditions, uneven heights between lanes, wet leaves and other irregularities or unexpected objects in the road can pose a serious safety threat to motorcycles. Many motorcycle accidents are caused when a biker needs to quickly avoid a road hazard and loses balance or collides with another vehicle. There’s no such thing as a fender-bender for a motorcyclist. As operators of a motor vehicles we all have a responsibility to help ensure the safety of those with whom we share the highways, rural roads, and city streets. Here in Southern New England the roads are filled with bikers most of the year, so we need to avoid distracted driving and ALWAYS look at least twice before changing lanes or making a turn. It could save a life. If you or a loved one have been the victim of any type of a motorcycle accident due to the negligence of another driver, contact us to speak with one of our experienced attorneys. We’ll help you to get the settlement that you deserve to help you and your family to move on after your accident.